Juggernaut Theatre Company was founded in 1998 by Tanya Bravo. As the South Florida theater community prepares for the 43rd annual Carbonell Awards, one of the most anticipated features of the April 8 ceremony are the recipients of the prestigious George Abbott Award, Charlie Cinnamon Award, and Ruth Foreman Award. This year’s honorees exemplify excellence, innovation, and a dedication to promoting South Florida theater beyond the boundaries of the region. Each year, the Carbonell Awards sponsors the George Abbott Award for Outstanding Achievement in the Arts, awarded to an individual (or team) who has contributed significantly to the artistic and cultural development of the region. The award may be given for accomplishments within the year, or for a lifetime. This year’s recipient of the George Abbott Award for Outstanding Achievement in the Arts is Michael McKeever, playwright, actor, scenic designer, and co-founder of Zoetic Stage in Miami. McKeever has written 30 full length plays that have been produced at theaters around the world. His play "Daniel’s Husband" recently ran Off-Broadway at the Westside Theatre, and his play "After" is currently running Off-Broadway at 59E59. McKeever has won numerous Carbonell Awards and Silver Palm Awards, and has received three Florida Individual Artist Fellowships. His work has been nominated four times for the Steinberg/American Theatre Critics New Play Award. He is a three-time finalist for Humana Festival's Heideman Award, and an NEA Residency Grant recipient. In addition to writing, McKeever teaches seminars in playwriting at several Florida colleges and universities. Jennifer Sierra-Grobbelaar is the recipient of this year's Charlie Cinnamon Award. 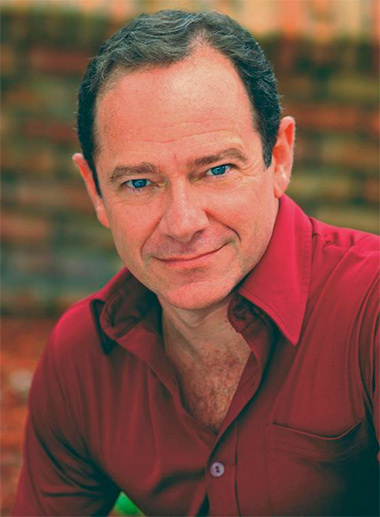 As an actor, McKeever has appeared on many South Florida stages and received the Carbonell Award for Best Actor in a Play for Dan Clancy’s "The Timekeepers" at Island City Stage in Wilton Manors. He is also an award-winning designer and illustrator. McKeever and his husband, Stuart Meltzer, are co-founders of Zoetic Stage, a Miami-based theater company dedicated to developing new work and bringing different and exciting points of view to established plays. Since its inception, the company has won numerous honors and citations and has become a leading force in the region’s artistic landscape. Several plays developed at Zoetic Stage have gone on to receive celebrated productions around the world. "I am thrilled and deeply honored to be receiving this incredible honor,” said McKeever. “I have always viewed the George Abbott Award as being the highest distinction in the South Florida theater community, and feel humbled that the Carbonell Board of Directors found my contributions worthy of such recognition." Created in 2017, the Charlie Cinnamon Award honors an individual who not only contributes significantly to the support of the arts in South Florida, but also for dedicated service to the Carbonell Awards organization. It was named for legendary press agent Charlie Cinnamon, who passed away in 2016. Jennifer Sierra-Grobbelaar is the recipient of this year’s Charlie Cinnamon Award. 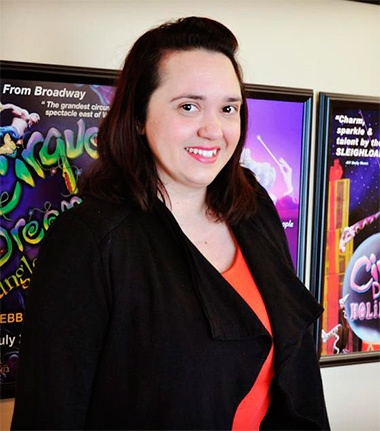 Currently the the director of marketing for Broward Center for the Performing Arts, Sierra-Grobbelaar spent 10 years as the marketing and media relations director for Cirque Dreams. Sierra-Grobbelaar’s theatrical administration career blossomed at Broadway Across America in various capacities, including national subscription ticketing manager, Parker Playhouse venue operations manager, education liaison with Florida Theatrical Association and public relations and marketing operations director for events throughout the state of Florida. She was an associate producer of both Cirque Dreams Broadway, commemorating Broward Center’s 20th Anniversary, and the culminating event of Broward 100’s Duende Centennial Celebration directed by Neil Goldberg. 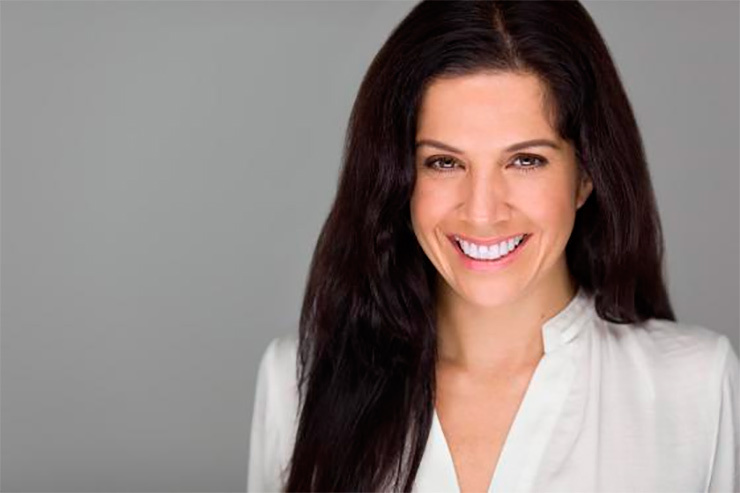 With her friend and writing partner Matt May, Sierra-Grobbelaar is the co-creator and co-producer of "Diego & Drew Say I Do," which held its world premiere at Broward Center for the Performing Arts in 2016 and received a Silver Palm Award for Outstanding Interactive Theatrical Experience. Together in 2017, they co-produced the 10th Anniversary Celebration of the Silver Palm Awards. 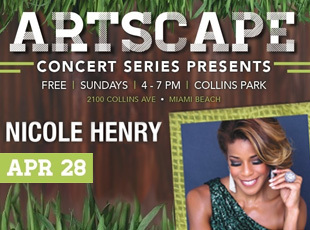 She received a Remy Award in 2016 from the Theatre League of South Florida for Service to the arts community. In addition to her professional workload, Sierra-Grobbelaar has dedicated herself to volunteering for various arts organizations. She has been a Carbonell Awards panelist for about a decade, was an integral part of organization’s PR committee for several years, and handled all of the Carbonell’s social media and website. 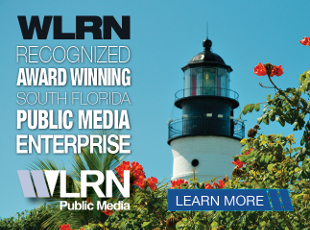 She has also served on the board of directors of the South Florida Theatre League, handled their social media for several years, and is currently part of the League’s advisory board. This year's recipient of the George Abbott Award for Outstanding Achievement in the Arts is Michael McKeever. Established in 2000, the Ruth Foreman Award is named after pioneer theater director and producer Ruth Foreman, to recognize contributions to South Florida theater development by an individual or group, for singular achievement and/or career contributions. This year, Juggernaut Theatre Company is the recipient of the Ruth Foreman Award in recognition of "Miami Motel Stories," an innovative immersive theater experience which gives a fictionalized glimpse into Miami’s past. Juggernaut Theatre Company was founded in 1998 by Tanya Bravo, the company’s current executive artistic director. The company helped redefine the burgeoning theater scene emerging from Miami's Urban Core, showcasing and developing works from local and national playwrights. Since founding Juggerknot Theatre Company, Bravo has produced more than 50 shows, and has collaborated with the HBO International Latino Festival, the Latin Grammys, Heineken USA, Chivas Regal, the Leah Arts District, MySpace, Remezcla, and the South Beach Comedy Festival, among others. Juggernaut launched "Miami Motel Stories" in 2017. Each of the short plays comprising Miami Motel Stories is the work of playwright and Juggernaut Company member Juan C. Sanchez. Miami Motel Stories is a real-time immersive theater experience that takes place in developing neighborhoods, inside selected buildings, to tell the story of Miami’s past, present, and future, one room at a time. In 2016, Juggerknot Theatre Company was awarded the Knights Art Challenge grant for Miami Motel Stories, making it part of their mission to help tell the stories of Miami's ever changing communities. To date, "Miami Motel Stories" in Little Havana and Mimo have received critical acclaim from national and international press, placing Miami and Juggerknot Theatre Company on the map as leaders in immersive theater. Tickets are still available for the 43rd annual Carbonell Awards ceremony, which takes place Monday, April 8, 2019 at 7:30 p.m. in the Amaturo Theater, at Broward Center for the Performing Arts, 201 S.W. 5th Ave., Fort Lauderdale. Tickets can be purchased by calling 954-462-0222, in person at Broward Center’s AutoNation box office or by visiting www.browardcenter.org.